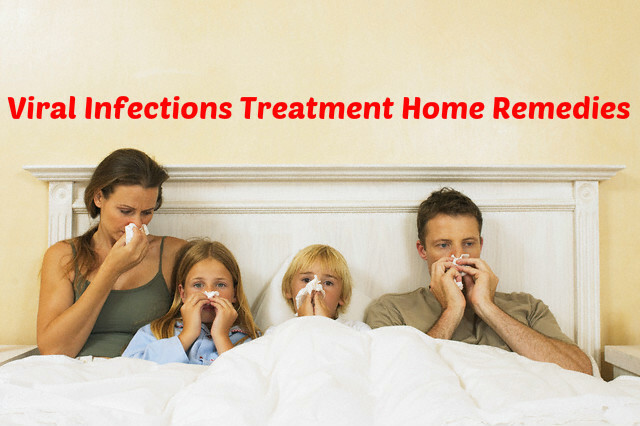 Viral and bacterial infections are often caused due to change in time and seasons. When you are exposed to new environment then also you may suffer from such infections. Only a few viral infections are serious and life threatening. Others can be treated by following home remedies. This is one f the most efficient and cheap way to treat viral infections. Bronchitis is caused by bacteria as well as virus. Almonds are rich in vitamins and nutrients, and very effective for treating respiratory illnesses. It is also rich in magnesium and calcium. Have enough almonds every day in any manner you like to protect your body form respiratory problems. Onion and honey is a good remedy for bronchitis. Honey is an excellent antibiotic and makes your body resistant to the attacks of virus. Onion is effective for the flow of mucus and is also rich in expectorants. Make thin slices of onion and pour a few teaspoons of honey over these slices. Leave it overnight and then have it at regular intervals next day. Although onion in any form is good for you, it is best when it is taken in the raw form. When you eat too much of chilies, you will have a running nose and you will sweat. Cayenne pepper helps in producing more mucus and removes all the mucus, clearing out the blockage. This way you will be able to breathe easily. So, have more chilies when you have respiratory illnesses. Lemon helps in killing bacteria and virus and also keeps the infection within control. Add a few drops of lemon juice and honey to green tea and drink it to get relief from bronchitis. You can also make lemon tea with the rind of lemon and drink it. Thyme is great for treating lung infections and to make your lungs stronger. You can use it as a herb and season your food. Make sure that you have enough of it to keep your lungs strong. You can also boil water with a few leaves of thyme and then have it with honey. Another way is to massage your chest area with thyme oil. This will clear the congestion and gets you relief from pain. Cold and cough can make your mouth and throat dry and cold. So, you have to drink lots of fluids when you suffer from common cold. Lukewarm water, herbal tea with honey, ginger and lemon etc are good for you. Tea and coffee also provide you relief, but you must take it within limits. Cold and cough can lead to the blockage of your nasal passage and respiratory tract. Using steam can help in opening them. Boil some water in a shallow bowl and breathe in the steam slowly. Let the warmth of the steam fill you. After steaming, you can keep yourself covered to prevent the warmth from escaping. Finely grate ginger and then boil it in water with black pepper and fennel seeds. Let the water get reduced to half its volume. Let it cool down slightly and have it when it is still warm. You can also add a pinch of salt to hot water and gargle with it to get relief form cold. This will help in removing the mucus blocking the throat. Soup is very effective for flu. Have it when it is still warm. You may have chicken soup or any other soup you want. This helps in soothing the irritation that you feel in your throat. It is also good for treating the infection. Garlic has antifungal, antibacterial and antiviral properties. So, it is very effective for treating flu. Cooking it may make it ineffective. So, the best thing to do is to have garlic in the raw form. Chop 2 or 3 cloves of garlic and have it with water. If you can, you may chew the garlic in your mouth. This will release the enzymes present in it. Vinegar is alkaline in nature and hence not suitable for the growth of virus. Mix one spoon of apple cider vinegar to a glass of water and drink it twice a day. This will help in curing flu. Elderberry syrup has antiviral and antioxidant properties, and is great for treating flu. Anthocyanin is also found in high amounts in it, which has anti-inflammatory properties. Have this syrup as it is or mixed with green tea. Ginger or peppermint tea soothes the stomach and provides you relief from the spasms in the stomach, which causes severe cramping and pain. You get an instant and temporary relief from the pain in the stomach by having this tea. If possible, you can dice ginger and chew it, so that the enzymes and minerals in ginger are released into the mouth. Stay at home and take rest. Do not have any heavy solid food and milk products. Eat light. It is also important that you have lots of liquid. So have water at regular intervals. Avoid any food that can create a stress on the digestive system. If you have fever also with gastroenteritis, use ice chips to bring down the temperature. Use ice chips throughout the day and this will help in soothing the stomach and esophagus. BRAT diet is excellent for people suffering from gastroenteritis. BRAT stands for banana, rice, apples and toast. These are rich in fiber and hence make it easy for the stomach to digest them. Yogurt is also good for your stomach. If you fail to get relief from these home remedies, you can visit your doctor and take medicos.